Our 8 oz. bottle is perfectly sized for those who need to carry larger amounts of holy water. 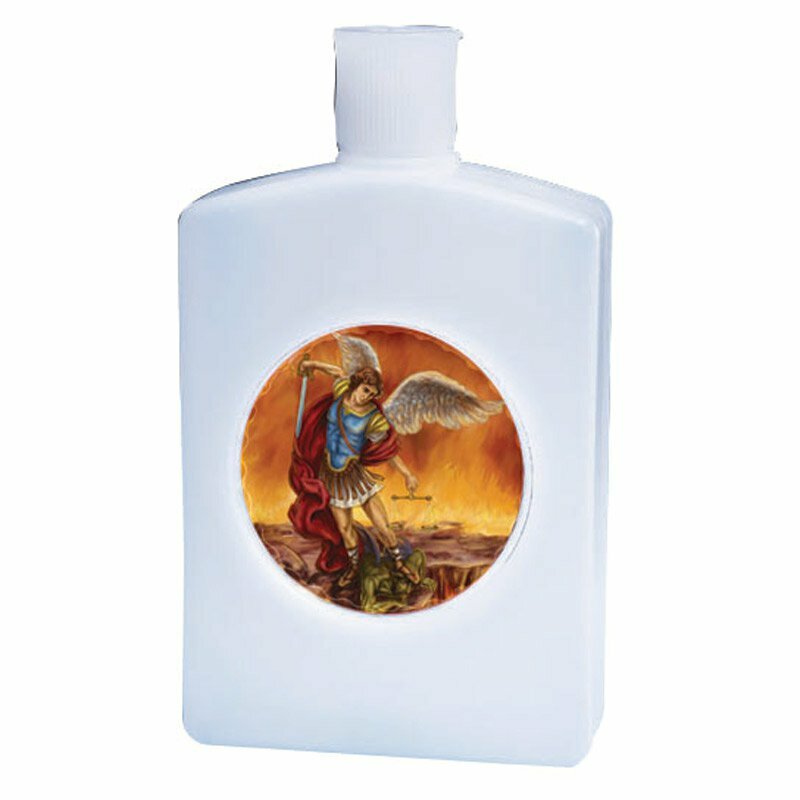 Comes with a screw off cap for easy filling and features a full-color devotional image on front. Also includes a convenient locking spout to avoid accidental spills or leaks. Great for transporting holy water or just use it for convenient storage. Perfect for those with a special devotion to St. Michael!